Hey there, Eager Marketers! Getting people to sign up for your marketing emails requires a lot of effort. Once you’ve managed to capture a lead, you want to do whatever you can to keep them signed up. 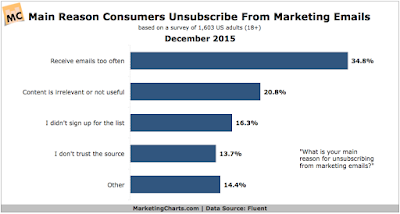 If your unsubscribe rate is higher than you’d like it to be, there’s probably a reason. Read on to learn the top 5 mistakes email marketers make that cause people to unsubscribe. 1)You send too many emails. OutboundEngine found that sending one to four emails per month is a good guideline, but that may not apply to your unique audience. Then you’ll know exactly how much email your audience is interested in receiving, and optimize for that. 2) Your targeting is poor. 25% of people unsubscribe because they found the content irrelevant. Even if your website visitors are interested enough in your product or service to sign up for your marketing emails, I recommend you take advantage of the unique interests and needs of your contacts in order to be as relevant as possible. According to DMA, segmented and targeted emails generate 58% of all revenue. Send out the most relevant messages by segmenting your list based on demographics, behavior, interests, point in the sales funnel, and other insights you might have. Doing so can result both higher open rates and lower unsubscribe rates. 3) Your content is boring. Litmus found that 49% of people unsubscribe because the content became repetitive or boring over time. While some of your messaging should be focused on moving leads down the sales funnel, offering variety will keep subscribers interested and help you segment even further. People sign up to email lists for different reasons. You may find some subscribers are more likely to engage with your how-to articles than industry news. Pay attention to open rates, clickthrough rates and other metrics for your content, and turn this behavior into a segment so you can send more of the content they like. 4) Your emails aren’t mobile optimized. 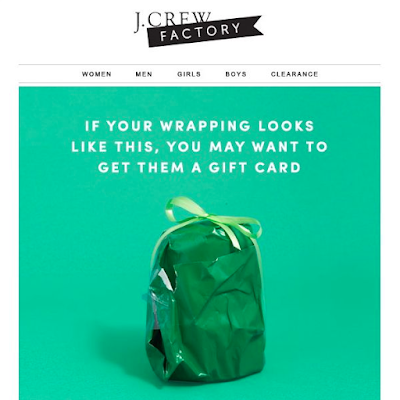 If you’re not ensuring that your marketing emails are mobile-friendly, I recommend you start now. 53% of emails are opened on mobile devices in 2016, and 70% of consumers will immediately delete emails that don’t render well on a mobile device. At least 14 px for body text and 22 px for headlines. This simplifies reading on smaller screens and improves user experience. Make your call to action visible and clickable (at least 44 px by 44 px). Many mobile device platforms don’t load images by default. Alt text will appear to show what the images are about. 5) You’re forgetting to personalize. 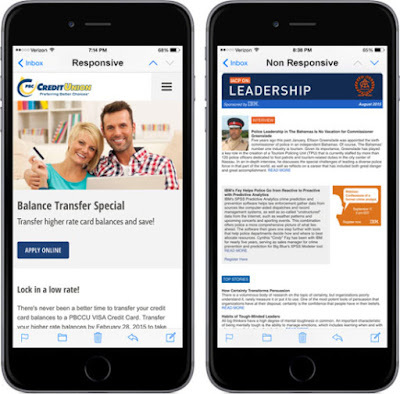 Personalized email messages improve click-through rates by an average of 14%, and deliver 6x higher transaction rates. Luckily, all of these problems can be tackled with a little research, planning, and the help of an advanced email automation tool. Sign up for a free trial of Sendlane™today to get started. 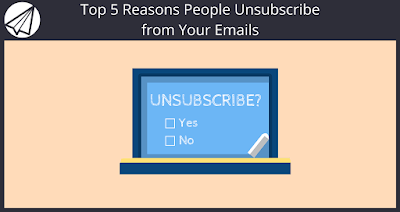 What’s your main reason for clicking the “unsubscribe” button? Tell us in the comments! Also, please help us spread the word by Sharing this post on facebook or any other social networks. We appreciate it!